Home > News > Product Knowledge > What are the Common Used Ore Crushing Machines? What are the Common Used Ore Crushing Machines? Crushing machine is also called ore crusher, which can be divided into medical crushing machine and mining crushing machine. The mining crushing machine is applied for the crushing of ore and hard materials. The common used crushing machines are jaw crusher, cone crusher, impact crusher, hammer crusher and so on. Different crushing machine is used for the crushing of different materials. 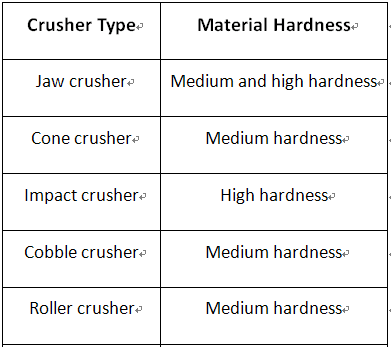 Previous Article：What are the Restriction Factors for the Crushing Machine?